Happy Sunday everyone! I’m burning the midnight oil here since two of my favorite polish lines are launching their new collections on Monday! One is from Picture Polish that I just posted earlier on Saturday night, see the 5 new shades now here. The other is the limited edition F.U.N. Lacquer Summer 2014 Holo Collection that I’m showing you now! Be ware my beauties, I’ve got a ton of photos to show you, so for those of you who love holos (and seriously, why wouldn’t you? ), then you might want to get your wallets ready! Look at the rainbow goodness! One of the really “FUN” things that Yuin Ying (the creative genius and sweetheart behind FUN Lacquer, and see what I did there with the very intentional pun?!) did with the collection is that the first letter of the name of each polish spells out “S.U.M.M.E.R” when you line them up the way I did in the photo above. A few words about the formula: like I said in my recent review of the FUN Lacquer 4 Seasons Thermal Collection, Yuin Ying never ceases to amaze me on her constant effort to improve her formula. This collection is in part her response to her customers requesting more holographic polishes. Well, every polish has linear holo and is filled with spectraflair, THE holo agent. All 7 polishes were opaque in 2 thin coats, with the exception of Starry Night Of The Summer, which was opaque in only 1 coat. Every shade also achieved brilliant gloss without any top coat, which is what you’re seeing in my photos. Just the polish shine, no top coat at all. It’s worth noting that the pink holo, Uniform For Summer: Bikini, is a major stainer. Yuin Ying warned me immediately when she found out so I applied 2 coats of base and still ended up with pink stained nails upon removal. I used the old baking soda, water and vinegar trick and was able to completely take out the stain. Enough talk, lets get to the photos! Starry Night Of The Summer is, not surprisingly, my favorite of the collection. It’s a gorgeous midnight blue with linear holo. In real life, it’s a lot more holo than my photos. 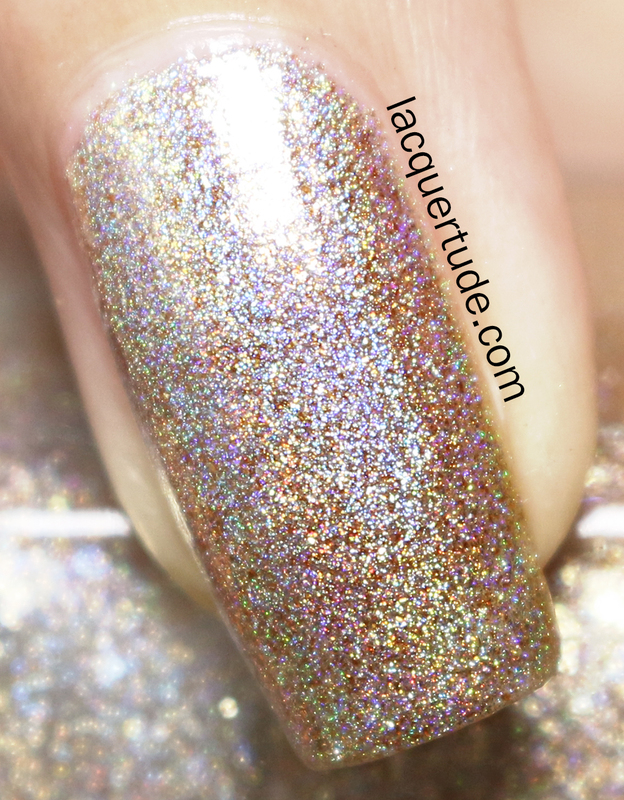 But, for some reason, this particular shade was a bit shy to show off its full holo-tastic glory. Like I said earlier, this blue had the most opaque formula. Perfectly even in 1 coat. I tried applying a second coat on the pinky, and as you can see, it didn’t change the depth of the color or the holo-ness. So, one coat is all you’ll need! Uniform For Summer: Bikini is a beautiful pink linear holo. It’s the perfect bright yet still medium enough pink that I think it’ll work on any skin tone. Unfortunately, with such gorgeousness, it’s also the problem child of the collection and stains the nails like mad. Yuin Ying told me you’ll be OK if you apply a peel off base and top it with quick drying top coat like Seche Vite before you paint on the color layers. So, there’s a way around it if you feel crazy about the color! Personally, I love it and I know I’ll use it over nail art where there’s another base color under it. I tested it and there was no staining! Margarita Cocktail is such a cute name. It’s a really soft baby green that still has fantastic linear holo! Perfectly smooth application, opaque in 2 thin coats. Mmm, doesn’t this macro shot look like a refreshing and icy margarita?! Mowed Meadow is, well, as the name suggests, a field of grassy green bursting with holographic shine! The top and side panels are actual color swatches of Mowed Meadow. Don’t they seriously look like patches of soft meadow grass decorated with the morning dew? Simply stunning! Evening Gown is a gorgeous and bold purple with linear holo interlaced throughout. Yes, it truly looks like a purple evening gown embellished with diamond like sparkly and rainbowy sequin. How can you possibly resist it? Radiance is a stunning medium red linear holo. You know I LOVED the last red holo from FUN Lacquer’s Christmas 2013 Collection. Radiance is brighter and more suitable for summer in my opinion! And this bold red didn’t stain my nails. So you can adorn your nails without worry. TGIF is the quintessential gold linear holo. It’s the bonus shade of the collection and let me say it really packs a punch! The shade of yellow is just enough to convey the golden undertone without leaning too yellow, making it a suitable shade for both warm and cool skin tones. It’s also a bit of a chameleon, in dim indoor lighting, it looks like a blend between platinum and gold, while under direct sunlight, it radiates gold filled with rainbow bands of holo. In my light box, I feel like it’s a mix of the two. This shade screams summer to me! It’s exudes light and shine. Wow, if you made it all the way to the bottom of this post, then kudos to you for sticking it with me! I really love the entire collection. My nails will be all ready to WOW this summer! 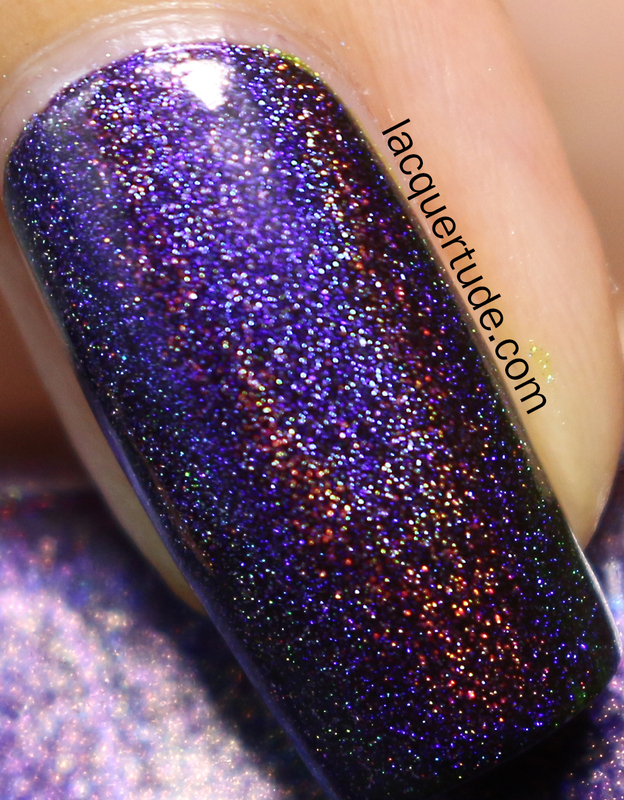 The Fun Lacquer Summer 2014 Holo Collection Pre-sales on May 26th (Monday) 12.30am SINGAPORE TIME at funlacquer.com! Check out the count down link for timing at your location. Official release is on June 9th. Each Summer 2014 Collection polish retails for $13USD (FULL) and $7.50USD (MINI). You’ll receive $1 off during pre-sales which is $12 (FULL) and $6.50 (FULL). Pre-sales orders will be shipped on June 2nd. Thank you so much for reading and happy shopping! Leave me a comment and let me know which shade you’re eyeing or have purchased and what kind of nail art you’d like to see me create with this collection! What a gorgeous collection! TGIF has to be my favorite, such an incredible color.